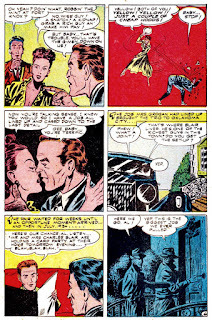 Unlike many crime comics, there is no BASED ON A TRUE STORY! 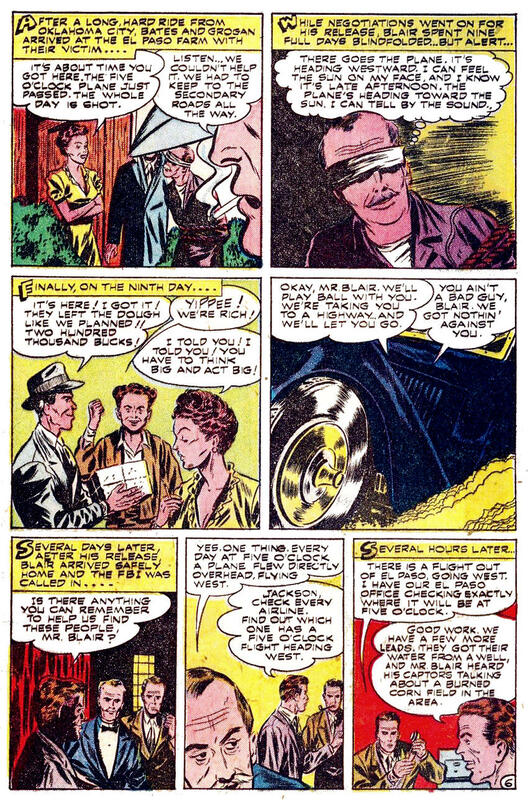 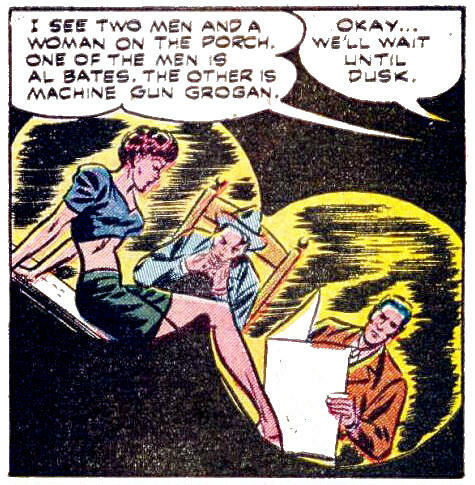 label anywhere In Crime and Justice #1 (1951) from Charlton Comics. 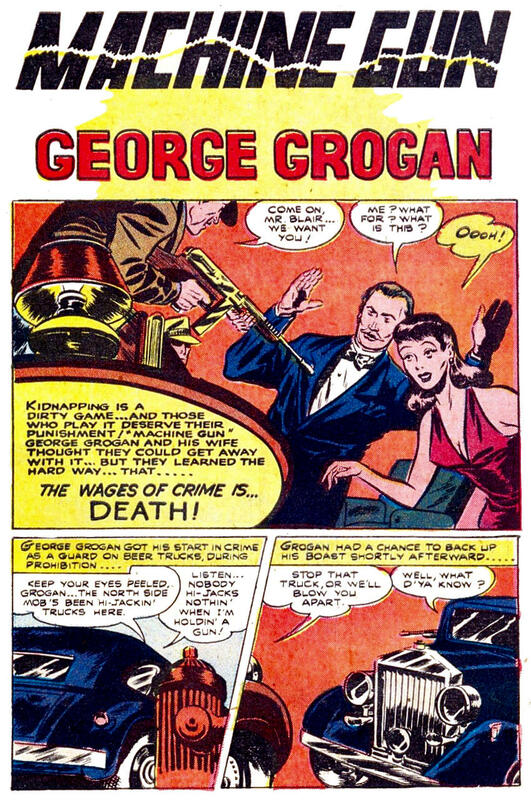 But the story of Machine Gun Grogan is based on truth, just not George Grogan. 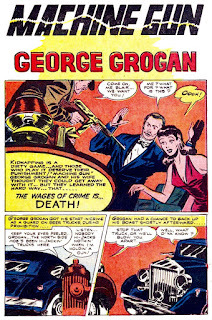 (The most famous person named George Grogan, based on my googling of the name, is a brigadier general in the British Army during World War I. Grogan won the Victoria Cross, so he is not our gangster George Grogan.) 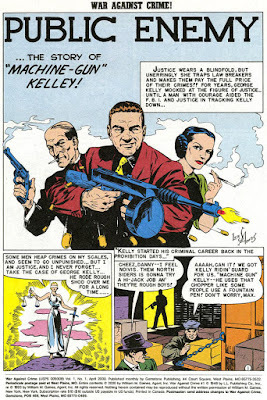 The story is based on the famous story of George “Machine Gun” Kelly, and his wife, Kathryn. 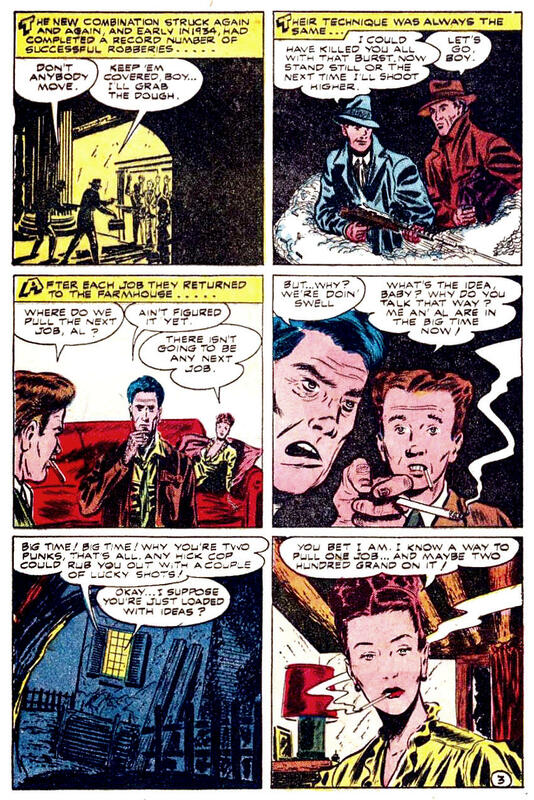 Why they chose to use fake names for the story I don’t know. 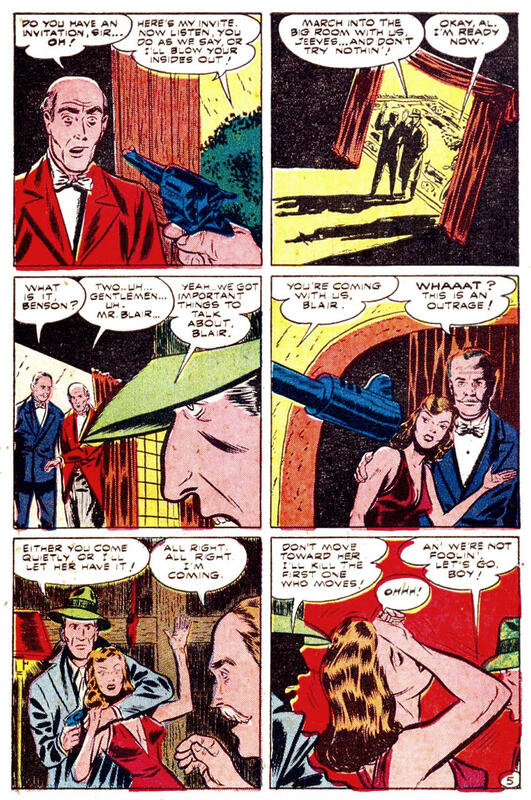 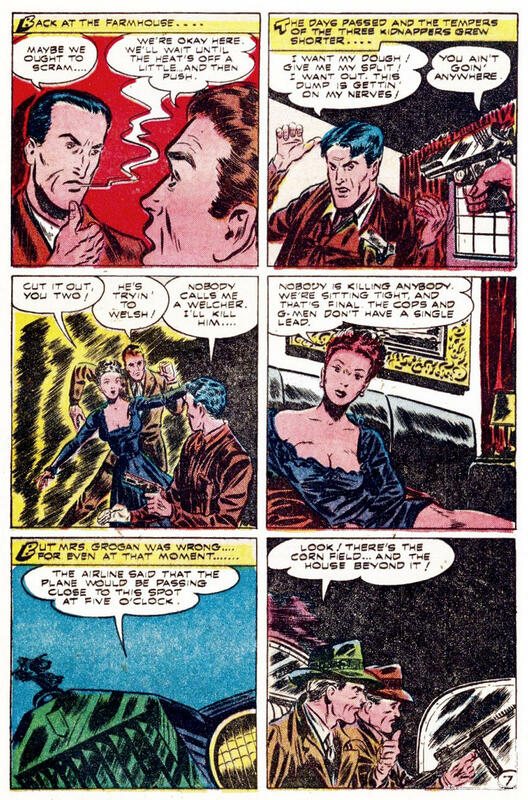 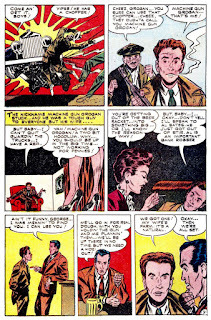 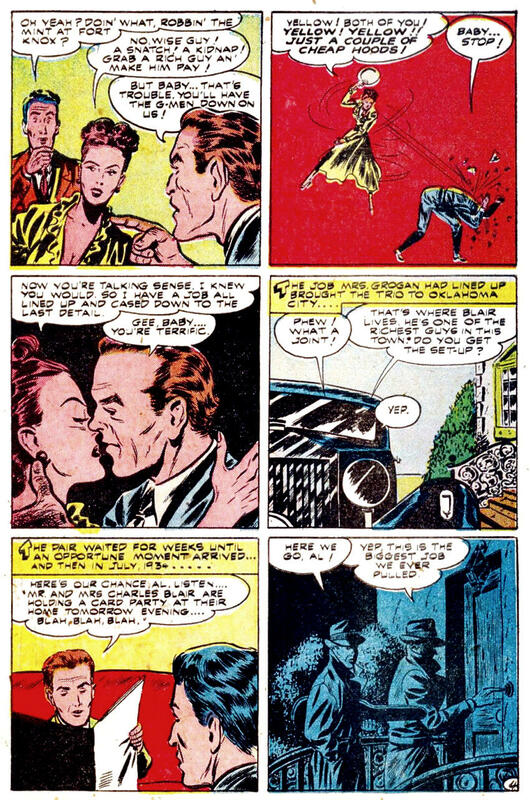 It isn’t like famous thirties gangsters like the Kelly couple weren’t fair game for crime comics. 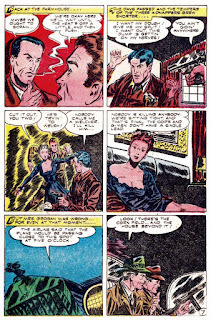 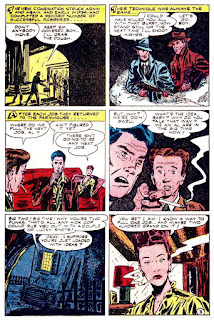 See the link below the story for EC Comics’ version of the Kelly story. 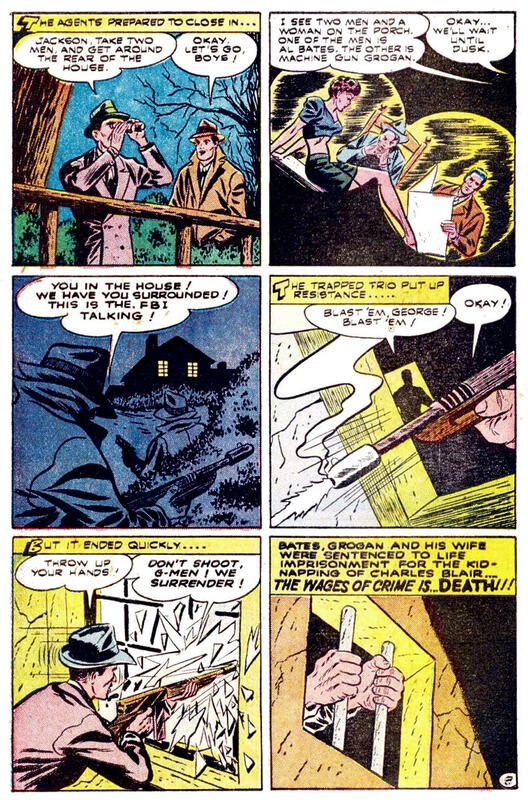 The line “The wages of crime is … death!” is an allusion to the Epistle to the Romans, Chapter 6, Verse 23, in the version authorized by King James: “For the wages of sin is death; but the gift of God is eternal life through Jesus Christ our Lord.” Most often, this is simply cited as “The wages of sin is death!” in keeping with the practice of playing-up the condemnatory aspect. 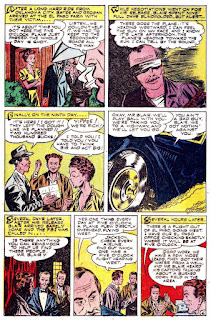 Some odd relations of grammatic number have been smoothed-out since 1611; others have been introduced. For example, “mathematics” often takes a singular verb.